Entry Doors: (1)- 36” 9 Lite. 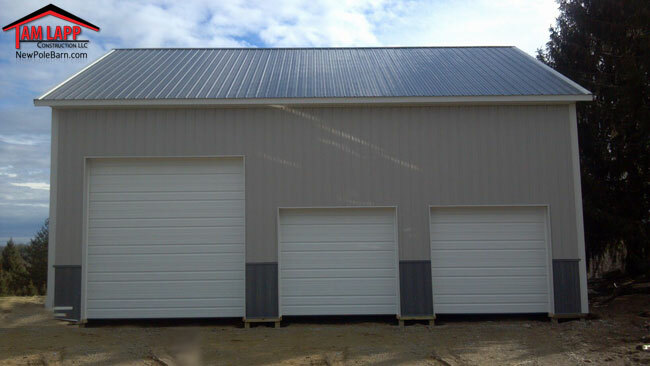 Clopay Garage Doors: (2)- 9’Wx8’H & (1)- 12’Wx12’H with Hi-Lift Track_ ALL Inside Lock All White & Insulated. 4’ of Two-Tone Siding all around building. 5K Seamless Gutter with 2 Downspouts.